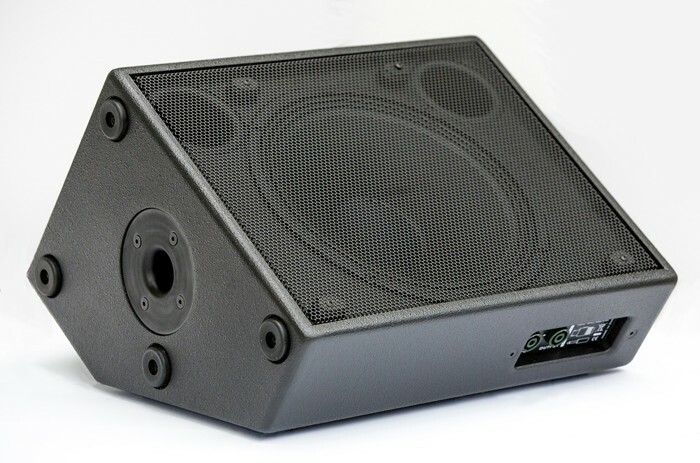 The Matrix CFR12 is a wedge style FRFR speaker designed specifically to meet the needs of guitarists using modelling amplifiers. The Matrix CFR12 is a wedge style FRFR speaker designed specifically to meet the needs of guitarists using modelling amplifiers. With a full range, flat response, the CFR12 provides clarity and punch in a lightweight and portable package. Whether used as an on-stage monitor in the traditional monitor wedge style or as a backline on it's end for smaller gigs, or as a practice rig for home use, the CFR12 delivers your sound, without compromise. Utilising a Coaxial driver with a custom crossover developed by Matrix the CFR12 give a wide 80 degree dispersion of sound and handling 260w and rated at 8 ohm, the speaker packs a punch well above its' size and weight and competes sound wise with speakers far above it's price range. The CFR12 is a passive speaker and as such is a perfect match for our GT800FX, GT1000FX, GT1500FX and GT1600FX amplifers.